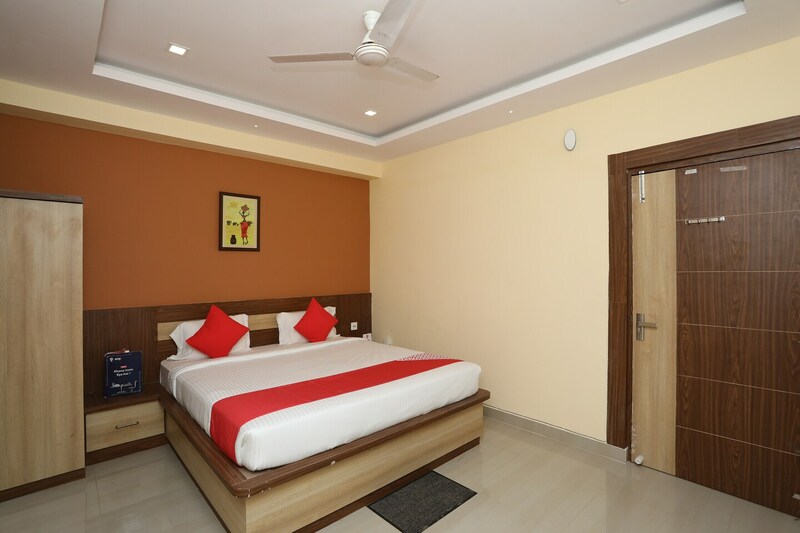 The Vishal Guest House in Bhubaneshwar is one of the rare properties where comfortable stay can be enjoyed at an affordable price. The rooms have been decorated with great attention to detail. Every room has a king-sized bed. The color combination of the rooms creates the perfect atmosphere for a comfortable and rejuvenating experience. The bathrooms have good quality tiles and CP fittings. The bathrooms are also provided with a geyser for hot water facilities. There is a common seating area available for lounging and waiting purposes. The front desk service is located conveniently near the entrance ensure a smooth registration process.